As an end-to-end DRM solution, Content Protection Server can create live and on-demand services for any platform, including TV, PC, tablet and mobile. 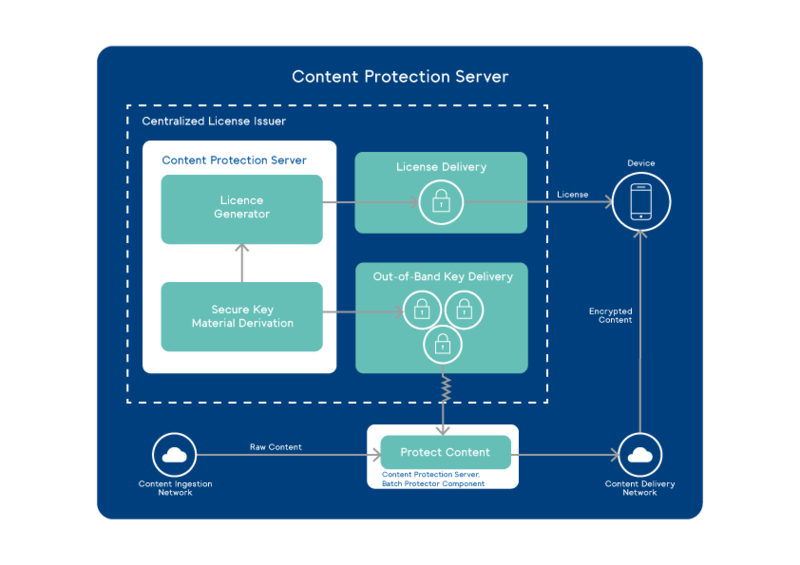 With Content Protection Server, the entire DRM process is enabled: from content protection, rights creation, rights and condition management to license generation and delivery. Licensed content can then be delivered over any IP network, fixed and mobile devices, with client-side DRM capabilities. Inside Secure Content Protection Server has built-in support for the more advanced capabilities provided by Windows Media DRM 10, such as direct license delivery to portable devices and license chaining for subscription services. Additionally, it supports all of the DRM features provided by Microsoft PlayReady and Google Widevine DRM specifications and therefore interoperates with the most widely adopted and currently available base of DRM clients. Content Protection Server is equipped with components that extend server-side DRM agnostic functionality (so no proprietary DRM clients are required). It enables intelligent rights management through an advanced rights template manager that dynamically applies rights and conditions to digital media content. Content Protection Server is designed to integrate with existing infrastructures. Additionally, it integrates with third-party systems such as subscriber management, billing, and authentication. The configurable conditions pipeline of Content Protection Server also enables real-time enforcement of contractual obligations such as limits on license volumes and time-based constraints on license deliveries.